Extensive coverage of the following sectors: scrap, demolition, waste management, organics and hauling. 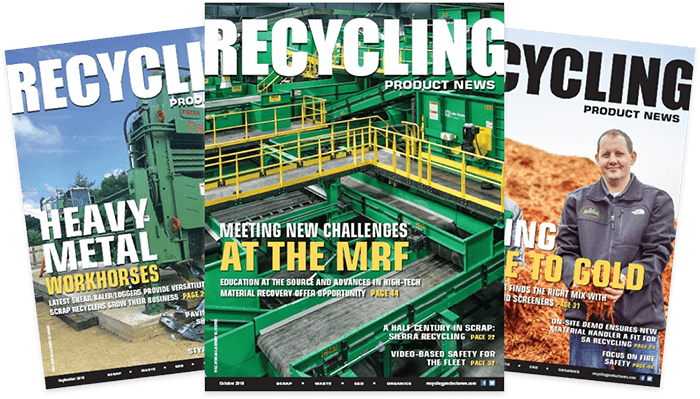 Our newsletter includes information about products, equipment and technologies for the recycling and solid waste industry. 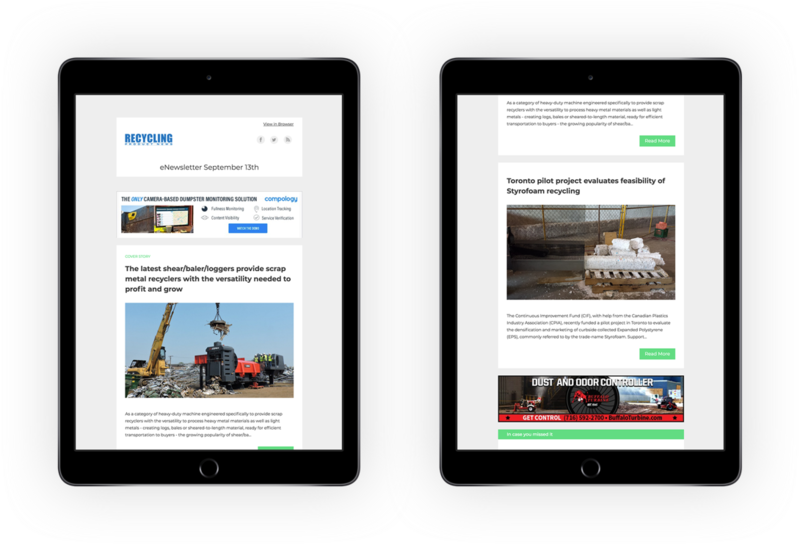 You will also get up to date industry news, product and equipment innovations, new technologies, applications, along with information about manufacturers and distributors.